Funny photo faces. Oh to be a 4 year old. He is such a traveling champion. 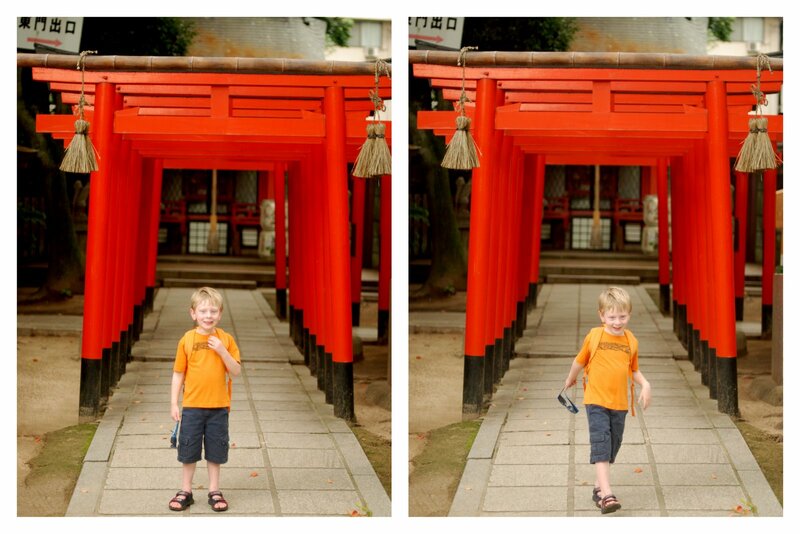 We arrived to Japan on Friday night and by Monday night he slept from 8:30 pm to 6:30 am. That is a boy who has spent most of his life on the road. Jane however was up at 4 am yesterday, but made it to 5:30 today. Happy I was able to coordinate the stroller with the shrine. Sadly, we are adding to our international Happy Meal toy collection. I was a little disappointed by Pokemon. With so many other cute things all around we just got boring Pokemon. Brian got Jane some corn as a side in her Happy Meal, and Colin wanted his Automoblox cars in the photo. Tooth tooth. It smelled very yummy. Since Dora and Diego are our kids favorite playmates, they have been wearing Backpack and Rescuepack a lot. Jane here doing double duty with Backpack and the monkey harness. It is so hot and probably not so fun to have extra things on but they want what they want. When Jane finds backpack in our hotel room she always says "I am so happy!" 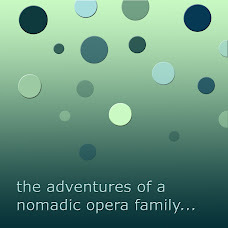 still loving to read about adventures in your nomadic life. I was eight the last time I was in Japan, and I remember it as a tidy dream world of fast trains and cartoon characters. I have marked many countries micky d's not by happy meal toys, but accessible bathrooms. gotta love it, right?